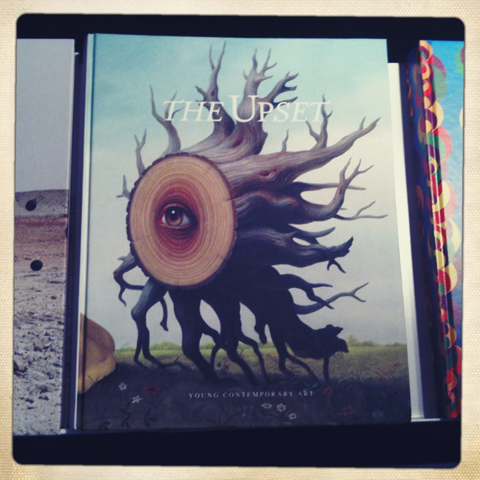 I went to the London Book Fair to find out how Amelia's Anthology of Illustration is faring in the global book market. 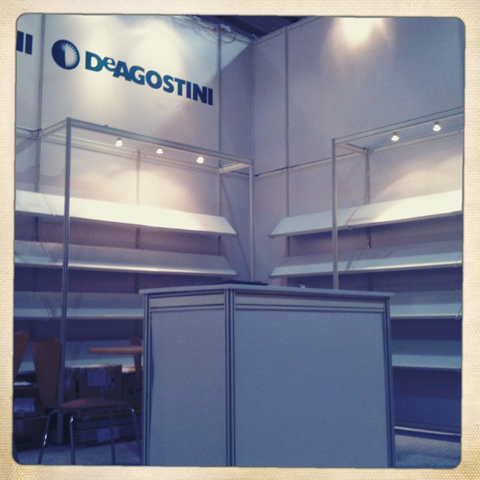 And how the global book market is faring with the eruption of the Eyjafjallajökull volcano. 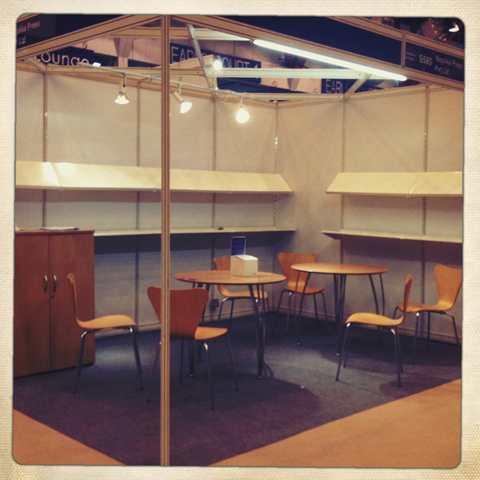 The London Book Fair is held yearly at Earls Court in West London and it is the primary place for book publishers, pharm distributors, information pills shippers and producers of associated book paraphernalia to gather and do business together. Yesterday I went down there to find out how my tiny contribution to the book market, Amelia’s Anthology of Illustration, is getting along amongst the sea of titles, and to find out just how much attendance had been affected by the eruption of the Eyjafjallajökull volcano. What I found was lots of empty stands. One was for Clarks Worldwide Shipping: the irony was not lost. Some had hastily scribbled notes taped to the table. 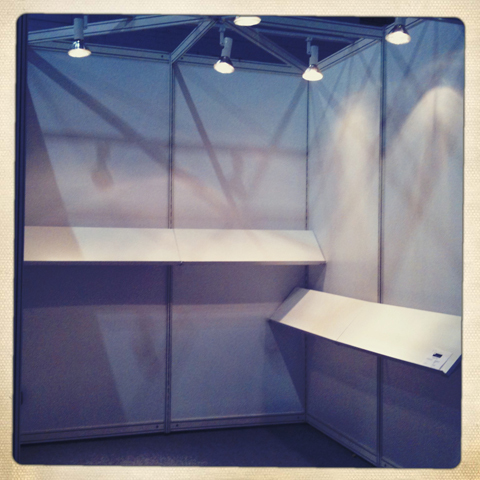 South African companies were particularly absent, as were visitors from America and Australia. 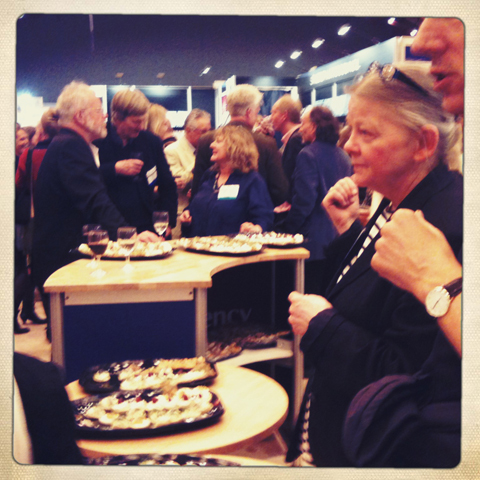 But I met a Swedish man who had travelled overland to get to the book fair, and on one stand the Norwegians were putting on a great deal of fish based canapes. The Scandinavian countries, I am told, always put on a great nosh-up because they are keen to promote their arts to the rest of the world. 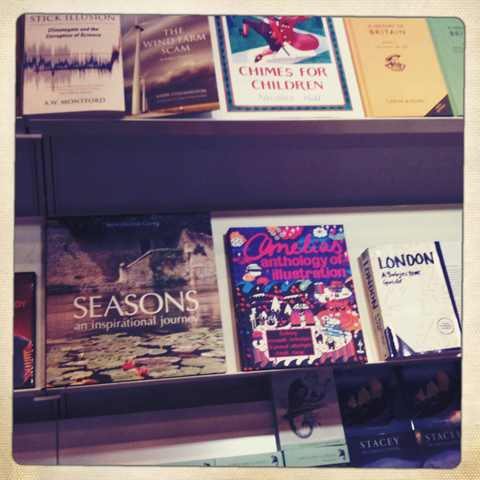 My book was sandwiched between a photo book about the seasons and a guide to London. And beneath two memorable tomes by different authors, joined in their delusions: The Hockey Stick Illusion and The Wind Farm Scam. Both clearly my kind of book. I skim read the intro to the latter, and discovered no clear idea of what exactly is suggested as an alternative energy source. Suffice to say I will not be reading this book to find out. Sadly I don’t think I’ll be attracting a multitude of buyers given the company that Amelia’s Anthology of Illustration is keeping. 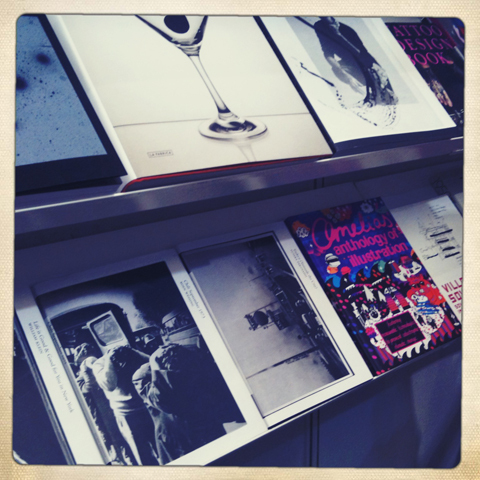 At Idea Books – who look after my international sales – my book looked more comfortable, sandwiched between lots of other idiosyncratic art books. One that I particularly took a shine to was a hardback photography book called Diggers and Dreamers by the wonderfully named Love Enqvist, which documents the utopian vision of architects across the world. One place I had not heard about is called Arcosanti, in the Arizona Desert. It’s been a work in progress since 1970, a vision of the Italian architect Paolo Soleri, who invented the concept of “arcology” – where buildings are designed to interact with the living environment. What remains is a brutalist masterpiece and there are plans afoot to complete the rest of the dream. Over at Gestalten I had a cheery chat with Lee who works down the road in Spitalfields. 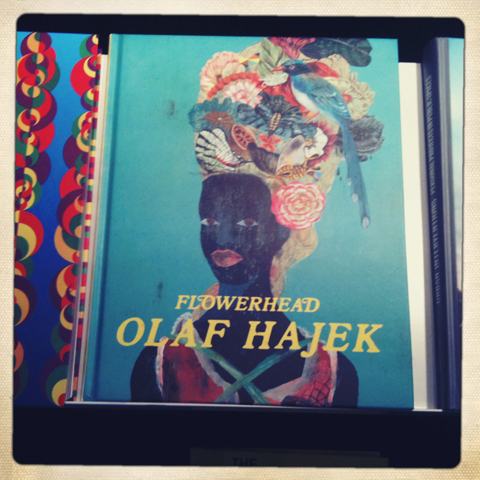 Two books in his roster really caught my eye, The Upset compilation of young artists, and Flowerhead by Olaf Hajek. He also introduced me to the second issue of Elephant magazine; produced by Marc Valli of Magma Books, who I am more used to dealing with concerning sales of Amelia’s Magazine. It’s a beautifully produced affair by someone who is up to his eyeballs in the design world every day of the week. 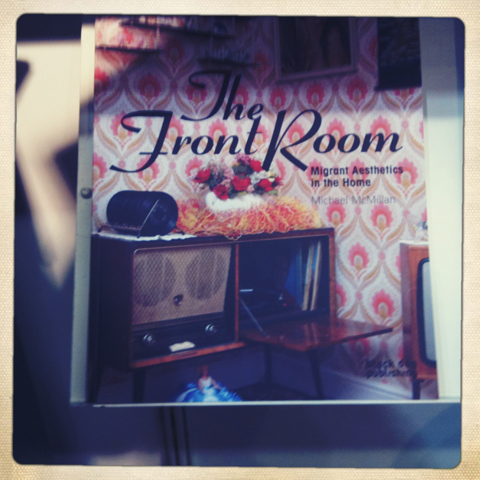 Black Dog woo-ed me onto their stand with a new title, The Front Room: Migrant Aesthetics in the Home. As well as being intrigued by the assimilation of different cultures I’ve always loved a bit of kitsch, so this looks like a thoroughly fascinating book that I hope to be able to review. As the witching hour fell I wound along the aisles, snaffling a peanut here, a glass of water there (yes really, I didn’t take advantage of the free wine.) A few people said with resignation that the fair seemed very quiet but everyone was sanguine as to the reasons why. 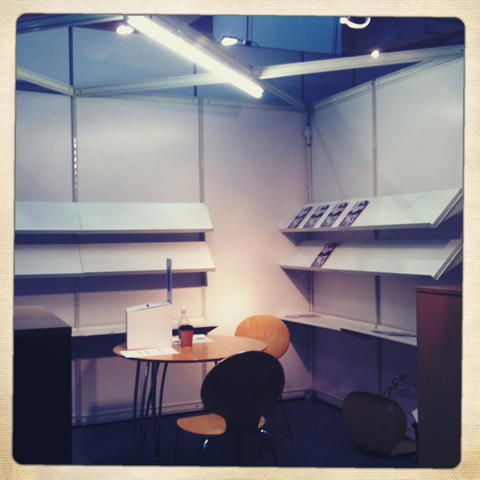 It will be interesting to see how the lack of visitors from further afield impacts book sales in the long run – but most predict far busier fairs in New York and Frankfurt later this year. In the meantime if you would like to stock Amelia’s Anthology of Illustration in your shop, please get in touch with Central Books or for international buyers, Idea Books. Or alternatively just drop me an email. hi Paul, thanks so much for your comment! And I’ll check out that link right now. Black Dog do indeed do some excellent books – I did chat to them briefly about publishing my book but they wanted me to use their designers and entirely foot the production costs myself, so at the end of the day it made more sense to self-publish. A good author/family friend William G. Carrington wrote a number of books for Pennyworth Press and even though his newest book, Cowboys with Chrome Horses, was a Pulitzer Prize Nominee, it is constantly lost in the fray! I find this somewhat depressing in a way because really pathetic books can be really popular with the right “team”. On top of that Central Books website is quite sad. Amelia’s Anthology of Illustration has a description that is the ISBN and status. Where are the glorious pictures? Where is the description of the entire book? Where is this website? I am not angry at the genius that is Amelia Gregory and contributors but I hope Central Books sees that there is a market for indie publishers to prosper and I hope they view the empty shelves as a sad display. Local talent abounds and it can’t be worse than “Going Rogue”. Hi Karen, thanks so much for writing about your friends’ experiences of distribution. It’s good to hear from someone who understands! And yes, I agree that Central Books doesn’t have the most dynamic of websites, but the fact is that I don’t have much choice about who I can use as a distributor as a small publisher – it’s pretty much whomever will take me on. And they are very nice people, if a little behind in web-based ways! You should read the Hockey Stick Illusion before dismissing it out of hand. There is nothing delusional in it at all, just meticulous research and beautifully written science journalism. A long way from your home territory, but it would take you out of your comfort zone and you might learn something. Out of fairness I will check out your anthology which seems to come pretty well recommended.